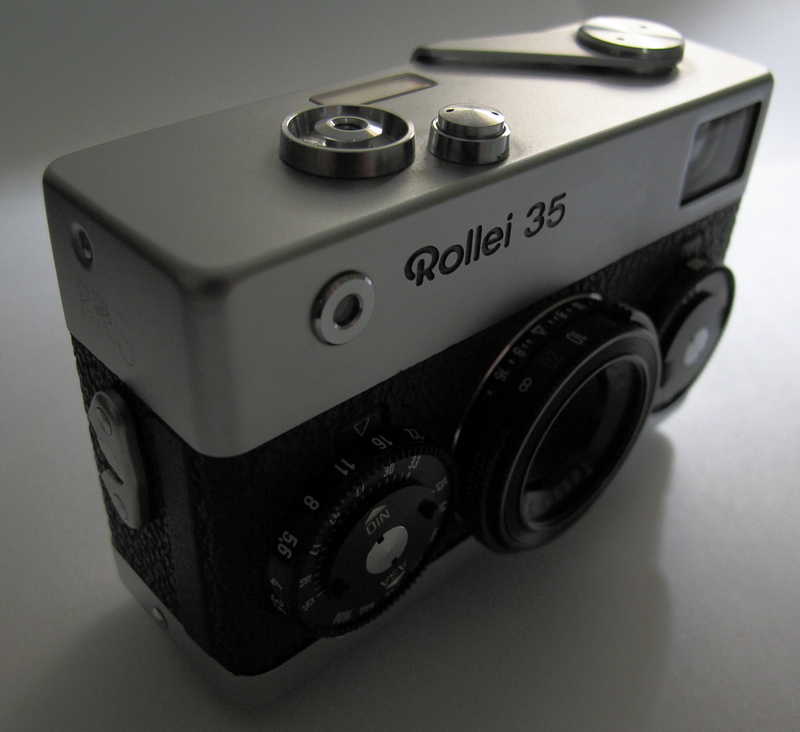 Please join me in welcoming the newest addition to the Filmosaur clan, the Rollei 35. First things first: this is a small camera. Really small. At least by 35mm film standards. It’s marginally smaller than the Olympus PEN previously featured, especially with lens retracted (yes, it retracts). It’s a heavy little thing, but like the PEN, it’s a solid-feeling kind of heavy, not a useless burden kind of heavy. Unlike the PEN, it’s a full-frame camera, and it’s basically fully manual in operation. It has an uncoupled cadmium sulfide meter, powered by a battery tucked inside. The Rollei is a mechanical wonder; it feels like a large Swiss watch that happens to take pictures. Everything clicks, locks, switches, and winds with a sort of precision that most cameras could only dream about. Perhaps this is not particularly important to some users, but Filmosaur revels in Teutonic mechanical precision. This characteristic, it should be noted, is not solely the province of the Germans; this Rollei, like many, was produced in Singapore, albeit under the direction of Rollei’s properly German overlords, err, supervisors. It should also be noted that some have suggested that the Singapore-produced cameras were less trouble-prone than their German predecessors. 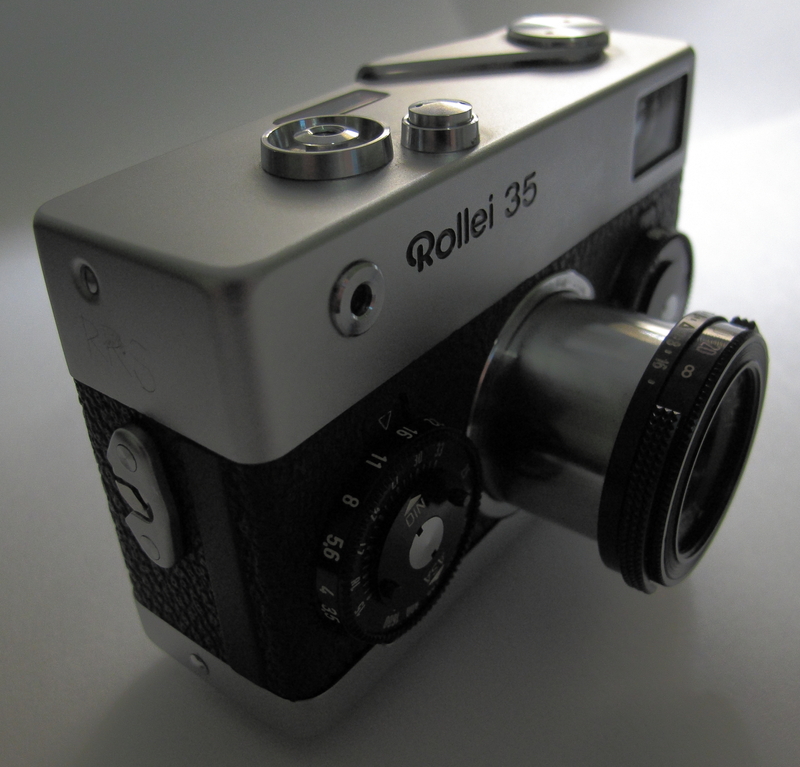 The Rollei is an unconventional design. It was clearly intended to be held at waist or chest level and the exposure set, then raised to the eye for the shot. It would also be focused at that time; as a scale focus camera, there is no rangefinder, so the user must estimate the distance to the subject. As you can see from the picture above, all the necessary controls are clearly visible from the top. 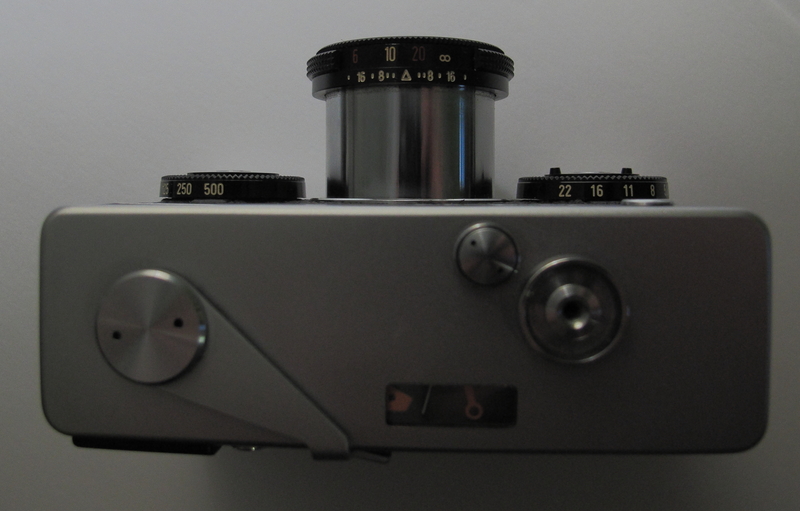 The match-needle meter can be seen on the top plate, as can the unusual left-side wind lever and the lens unlock button, next to the shutter. The rewind lever and the exposure counter are located on the bottom plate. Weird though it may be, it works. Some people don’t like it; Your Humble Filmosaur thinks it makes a lot of sense, and applauds its designer for being willing to rethink some of the basic elements of camera design in order to achieve efficient packaging. Still, it’s not perfect: lacking a rangefinder, the user either needs to be pretty good a guessing distances or willing to confine themselves to smaller apertures. This of course suggests that higher speed films be used for maximum flexibility. Here you can see the lens collapsed into the body. And that little lens is the icing on the Rollei cake. An f/3.5 Tessar design on this model, it is considered to be a gem, capable of producing images of exceptional quality. Other variants are equipped with Sonnar (f/2.8) or Xenar (f/3.5) lenses, or a Triotar (also f/3.5) on the budget models. The Sonnar brings a premium, but there is plenty of debate on the internet (Really? People argue on the internet now? What will they think of next?) as to just how discernible the image quality differences between the lenses really are. Being a scale focus camera, the wider apertures are not as easily usable as they would be on a rangefinder, so the gain of 2/3rds of a stop on the Sonnar models is comparatively minor. Attention to detail is the key to explaining the appeal of the Rollei 35. There are plenty of small cameras out there (well, maybe not quite THIS small), but most don’t offer the same solidity and precision feel as the Rollei; of course, digital technology has brought us cameras that make the Rollei look and feel like a brick, but they don’t count. It’s a fine little piece of engineering, if you’re into that sort of thing.